Microsoft's desktop OS has let users install additional display languages since Windows 2000. This made Windows computers accessible to billions of people, but installing and switching languages on a PC wasn’t easy. Businesses generally assigned only one language to a computer, limiting its use to those who understood that selected language. The Windows 8 Consumer Preview, likely making an appearance by the end of February, changes the way languages are handled, and should make it easier for organizations with employees that speak multiple languages to share computers. It’s not uncommon for business computers to be shared by workers, especially in workplaces open for multiple shifts. Tablets, which Windows 8 will also run on, are even more likely to be shared if used for tasks within a company. In the Building Windows 8 blog on Wednesday, Ian Hamilton, a program manager for the Windows International team, details the changes to Windows 8's language options. 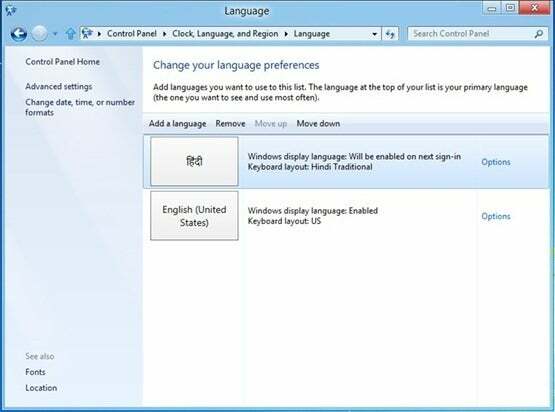 While previous versions of Windows provided some languages through Windows Update and others through the Microsoft Download Center, one control panel will handle all language-related options for Windows 8. This includes selecting your keyboard input language. The control panel displays currently installed languages and allows additional languages to be added. Choosing Add a Language provides a list of languages to select from that's filtered as you type. Selecting the language you want to add surprisingly doesn’t add it; you still need to go to an Options setting to Download and Install first, an unintuitive extra step. This is most likely required for businesses that have User Account Control enabled, and will need to have an administrator do the actual installation. 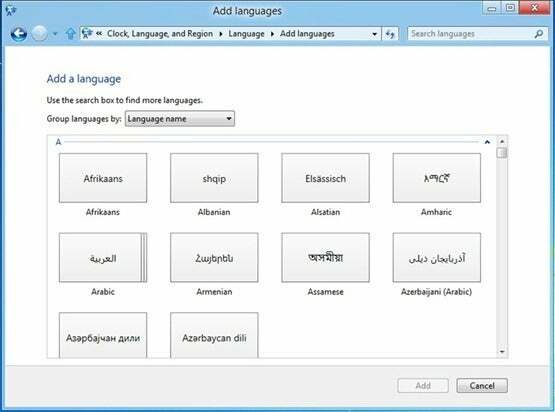 Once selected and installed, new languages appear in the list of the Languages control panel. Using the control panel, you can select the language you prefer to use and set it as the Primary Language, which will be enabled on the next sign-in. You can also set the preferred input language in the same location. In Microsoft's blog post, Hamilton gives an example of selecting Hindi as the preferred language, and Hindi Traditional as the preferred input language. This allows workers to have a work environment customized to their native language while they are logged in, while still allowing others to use the device with their preferences as well. Windows 8 adds 14 new languages to the 95 that were supported in Windows 7 for a “market leading” total of 109 languages, meant to provide native language support for over 4.5 billion people. Each language includes fonts, localized text, and input methods and must provide support for almost two million words as part of the overall user interface. In addition to the current US English “standalone” used by OEMs on new computers, there is now also a UK English option for locations where it is a more natural fit, like India, Australia, or South Africa. This standalone base language becomes the fallback language in cases where local resources aren’t available for the selected primary language.